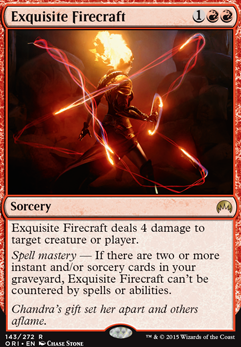 Spell mastery — If there are two or more instant and/or sorcery cards in your graveyard, Exquisite Firecraft can't be countered by spells or abilities. So, I think when I built this, I assumed that Goblin Guide and Monastery Swiftspear were my other 2 "Bolts" for some reason lol. 1 mana for 3 damage on average fits right in with typical burn strategy, so I probably counted them. It's probably more aptly named as 24-Bolt lol. And Kiyomei, if I were to put cards in my sideboard for control, I would probably run Exquisite Firecraft . 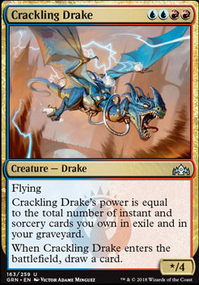 Uncounterable is very strong, but games in Modern are typically very fast and efficient so depending on my Banefire to ever be cast for more than 2 seems like a mistake. I don't want to have to depend on drawing a critical mass of lands in a deck with only 18 lands in it, and the longer I have to hold a burn spell while waiting on lands, the more likely it is that it gets removed from my hand by a rogue Duress or Collective Brutality. I want to draw it, cast it, and kill my opponent with it while they hold up countermagic that does nothing, and Exquisite Firecraft fits that slot while only costing me 3 mana. I'd at least go down on the Damping Sphere count; probably no more than 2. It's good against Tron at least. Maybe put in Exquisite Firecraft? That could help with control matchups. I am not overly fond of Exquisite Firecraft - I think it costs (3 mana) too much for what you receive (4 damage). Those changes for budget purposes make sense. If it's any consolation, I think Vexing Devil is an extremely overrated card. Generally, you do not want to give your opponents options--they will always choose what is in their best interest. 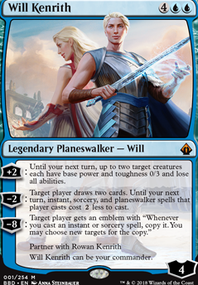 If they have a Fatal Push, Lightning Bolt or Path to Exile in their hand, they'll always let the spell resolve, then get rid of it without harm. If not, they can take the damage, and avoid you having a creature. It's not the worst card letting your opponent choose, since the options are all pretty painful, but there are generally better options. cdkime What about Exquisite Firecraft? Id prefer Exquisite Firecraft in Main Board,Decent card. And I think Vexing Devil is a great card all around. Fated Conflagration can't hit players, perhaps try Exquisite Firecraft or Flames of the Blood Hand as your curve ender. 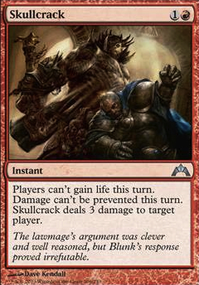 Seeing as it's two mana for two damage, Reality Hermorrhage is pretty lame. Its main advantage - getting around Protection from Red - doesn't much matter if you're pointing most of your burn at your opponent. You might prefer Flames of the Blood Hand, Searing Blood, Exquisite Firecraft or Magma Jet. You also might as well turn one or two of your mountains into Ramunap Ruins. The extra reach in the late game could come in handy! except that it is a sorcery. so Exquisite Firecraft is worse, unless you play a modern counterspell deck. i would love to play it against my burn deck. 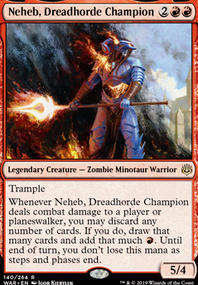 also, modern burn has Eidolon of the Great Revel in 100 percent of decks, so at 6 cmc Flame Javelin is ideal.